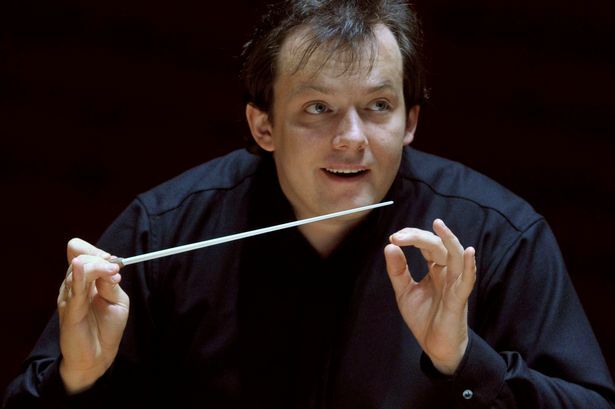 Andris Nelsons' patient, often suspenseful pacing evoked gorgeous Alpine landscapes. What a mischievous programme the CBSO concocted as we at last approach the longed-for end of this year&apos;s over-egged Britten centenary-fest. There&apos;s a lot of awful Britten as well, but what we heard here was a wonderful piece which by no means deserves to be the rarity it is. This was the Violin Concerto, a substantial, searching composition which drew an urgently communicative reading from soloist Isabelle Faust. There was no "listen to me" element in her performance (though we did have to get past the pink liquorice-allsort outfit in which she presented herself). Tone was painfully sweet where appropriate, attack was proudly articulate (what fantastic strength of bowing), and the music&apos;s disturbed lyricism (Prokofiev was often evoked) always engaged with such an impact. Andris Nelsons and his orchestra collaborated with so much empathy (the poised, swaying strings at the first movement&apos;s recapitulation live in the memory), and telling instrumental colour, flute, trumpets among others. The silence within the hall at the conclusion was so eloquent. Framing this jewel were Wagner&apos;s Siegfried Idyll and Brahms&apos; Third Symphony. String cushioning in the Wagner gem was velvety and subtly-nourished, Nelsons&apos; patient, often suspenseful pacing evoking gorgeous Alpine landscapes. The symphony was sumptuous in sound, but needed more of a hard edge to its phrasing to avoid a slide into glutinousness. What was remarkable, though, was the quietness Nelsons was able to draw from a full orchestra in soft focus, and the cellos sang angelically in the third movement. And the lepidopteran which fluttered in the stage-lights as the music approached its end will probably have expired very happily. Just as charming as the bat which gate-crashed a concert I attended in Salzburg nearly 50 years ago.